Today is the first day of Spring…it was 19 degrees at 6am…and snowing. I needed SOMETHING to make me think Spring was just around the corner and then I thought of the floral photo shoot in Town & Country. Flowers everywhere, including faces, clothing and …legs. 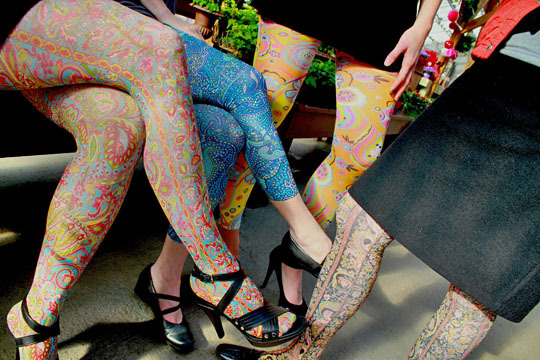 Scroll through the Celeste Stein patterns for tights, socks and leggings for a few Spring like inspirations. BTW…our house went on the market Tuesday morning…HOORAY!!! But…always a but…the dishwasher died Tuesday afternoon…DRAT!!! Good luck – I am hoping for Asheville!